Before you decide to go to work for yourself, you should look at Social Security for the self employed. Social Security is a government program that pays money to certain people. Those who reach retirement age can draw Social Security benefits, but the program also pays out to the children of those who paid into the fund and passed away as well as those diagnosed with certain disabilities and handicaps. When you work for yourself, whether you own a business or provide a trade, you are responsible for paying into Social Security. When you work for someone else as a standard employee, your employer will deduct a certain portion of your earnings to pay into the Social Security fund. As an independent contractor or business owner, you must pay the IRS a certain amount of money each year based on how much you made in the previous year. You must make $600 or more in the previous calendar year to pay taxes. If you make a minimum of $400 in a single year though, you must pay a tax when you file. The IRS imposes a charge called the self employment tax on anyone who works as an independent contractor or runs a business. This includes those who write, do graphic or web design, work for a call center from home to sell products for another company like Avon for 31 Gifts. 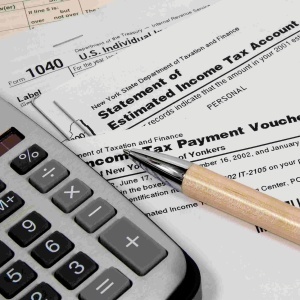 The IRS requires that you pay 15.3% of your total income back at the end of the year. This rate includes the portion that you are responsible for paying and the portion that a dedicated employer would pay. This self employment tax also goes towards funding Medicare and other government programs. Whether you work with an accountant or file your taxes on your own, you need to use Schedule C. This form lets you compile a list of your deductions, which will bring down your total income. The IRS will use your income from this form to determine the Social Security for the self employed amount that you owe. According to the IRS, you can estimate the amount that you owe on a quarterly basis and pay taxes four times a year to significantly reduce the amount that you owe at the end of the year. As a self employed individual, it’s important that you maximize your deductions. In addition to the standard deduction that you can take for yourself and the deductions available for your children, you can also deduct any money that you pay towards your business. This can include paper and other supplies as well as any money you spend on advertising. If you work from home and have a dedicated home office, you can deduct some of your home expenses too, including your rent or mortgage and utility bills. You usually need to determine the amount of space that office takes up and the portion of bills for that space. Though you can work from home and work for yourself, you’re still responsible for filing and paying your taxes every year, which you can do on your own or with the help of a professional accountant. Social Security for the self employed is just one of the taxes you will pay.